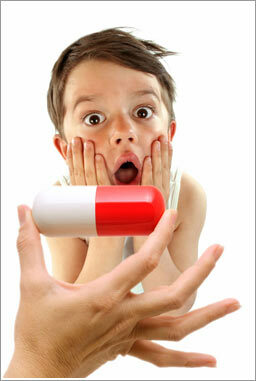 In today’s society, the average age of “pill swallowing” ability starts anywhere from 6 to 9 years of age. The availability of prescription drugs, over the counter vitamins and supplements, and the increasing prevalence of disease states occurring in younger populations has encouraged the art of swallowing. However, there is also a large population of children and adults who have yet to overcome the fear, anxiety, and struggles of swallowing pills. Some individuals, no matter how often encouraged, belittled, nagged, or shown different techniques, just cannot overcome their own mental and physical rejection of their throat opening to allow passage of foreign objects. This poses an issue for several reasons: certain medical conditions require long-term medications available only in pill form, nutrients could be lacking from the diet, and supplementation may be necessary or fleeting illnesses that need immediate attention with drugs to help speed along the recovery process. You may have tried water. You may have tried food. You may have religiously followed the advice of www.pillswallowing.com or agreed to hypnotism, or spinning around three times with your eyes closed and visualizing a giant piece of chocolate cake while a loved one stuffs the tablet in your mouth and tapes it shut. Not surprisingly, most “tricks” do not work for people who have always struggled with this. With the mind being such a powerful ally OR terror, mastering pill swallowing after a bad experience can be a daunting task. Annie’s understands the importance of personalized health care. We cater to each patient’s needs, providing not only the highest quality products, but also, the highest quality customer service. If you are struggling with adhering to your medication regimen, or wanting to start a new multi-vitamin, but just unable to overcome the burden of swallowing those monsters, come to Annie’s. Come visit, come chat, come learn about all the wonderful options that we, as a compounding pharmacy, can offer you!